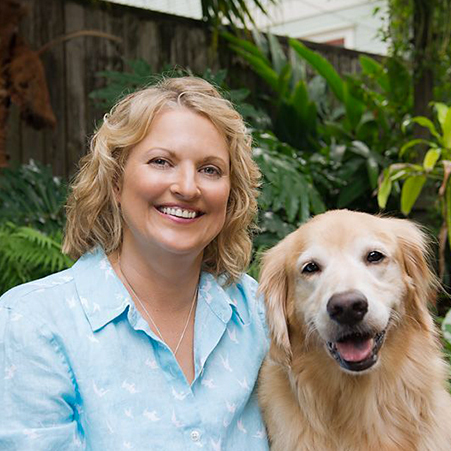 Susan Briggs is founder of Crystal Canine, a consulting and resource business& for the pet care industry and co founder of Urban Tails, a multi service pet care center in Houston, TX. With over 12 years experience operating a large dog daycare, boarding, grooming and training center, Susan is a recognized leader in the industry. She has consistently worked to establish quality care standards and share her knowledge with others. In 2007 she co wrote Off Leash Dog Play: A Complete Guide to Safety & Fun with Robin Bennett. Susan and Robin have partnered on, Knowing Dogs, a staff training resource for the pet industry on dog language and safe off leash playgroups, that was published in 2012. Their latest joint venture, The Dog Gurus, is an online membership community serving pet professionals providing “your best resource for off leash play” (www.safeoffleashdogplay.com). A sister educational website for dog families focuses on “canine body language made easy, dog park safety and tips on selecting pet professionals including a directory of their pet professional members. In 2009 Susan’s second& book, Counting Noses, was published as the only industry specific accounting and financial management resource available. Susan& is a frequent speaker in the pet industry with seminars on getting started successfully in the pet care industry, financial management, staff management, dog daycare and dog body language. She has partnered with other pet industry experts to organize PetCare Business Basics, a seminar for anyone looking to get started in the pet care industry that debuted in the fall of 2011 (www.PetCareBusinessBasics.com). Susan has been an active volunteer with pet industry trade associations sharing her passion for safe dog daycare operations and an overall better understanding of dogs in our care. Her goal with Crystal Canine is to make information more easily available to the pet industry through articles, presentations, self-study courses and hands-on seminars. The& pet care industry is her new passion, but her professional career began as an auditor for Ernst & Young. Susan has a Masters of Accountancy from Truman University in her home state of Missouri and passed the CPA exam in 1984. She has converted to a Texan and lives in Houston with partner& Bill Kamps and three dogs, Sheppy, Archie and Lacey. Her dogs continue to provide lessons on the complexity of canine health and behaviors that has led her to expand her studies into natural and holistic pet care. She is a reiki master, multidemensional transformation master healer and uses many holistic care modalities in the care of her pets including natural diets, acupressure, massage, homeopathy, aromatherapy, essences, color, crystals, EFT, and animal communication.